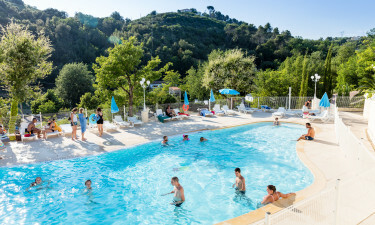 Soak up the sun at green park in the French Riviera; the perfect place to rent a mobile home and enjoy a luxury camping holdiay. 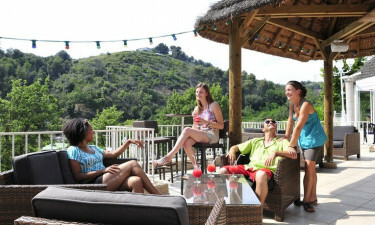 This luxury camping site offers guests everything they need to enjoy the camping holiday of a lifetime, from modern units complete with Wi-Fi access, televisions and cooking facilities to a large selection of entertainment options and activities that can be enjoyed by people of all ages while staying on the site. What Makes Green Park So Special? The stunning sandy beaches of the French Riviera are located just three miles from Green Park and can be reached on foot in a mere matter of minutes. Anyone at this leading LUX-camp is, however, treated to a free shuttle bus service to make it even easier to reach the sand. Alternatively, guests can also hire bicycles to cycle to the beach and spend time peddling along the pretty coastal road. Kids’ and Teens’ Clubs The kids’ club is designed for children up to the age of eleven and includes a wide range of activities and games that children are sure to love, such as learning songs and dance routines. Teenagers are also well catered for here and in addition to a special club they are given full access to a television room and a separate games room where they can play pool, take part in table tennis tournaments and try a number of other fun activities.Impressive Range of Amenities Just about everything else that is needed for people of all ages to enjoy a magic and memorable experience at Green Park can be found on the site. 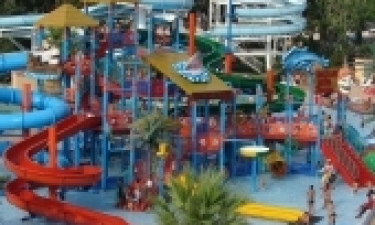 The outdoor swimming pool is a particularly popular place for guests to hang out on sunny days and aqua sports and other activities are regularly organised here. The onsite restaurant offers stunning panoramic views of the area and this is the perfect place to retreat for a real treat while experiencing the best that luxury camping has to offer. Special themed dining evenings are organised here to help make the luxury camping experience even more special, while the staff organise evening shows and a wide range of other types of entertainment for guests. People who are looking for a little pampering at Green Park will find a good selection of shops and businesses to choose from right on their doorstep. If you’d prefer to unwind while soothing aches and pains, you can book a massage with a fully qualified and experienced masseur, while those guests who fancy a whole new look can make an appointment with the beautician. The onsite grocery shop is also well appointed and means that guests never have to venture off the site in search of food and snacks for themselves and their family.